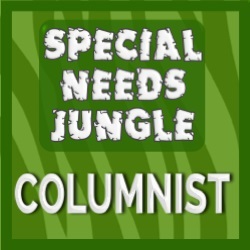 This is the first in a series of posts about how to teach specific speech sounds. Today we are going to start with the “c/k” and “g” sounds. These are probably the sounds that I work on most often! 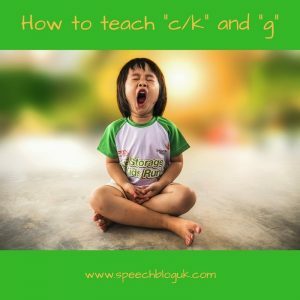 When should a child be able to say c/k and g? It is very normal for young children to mispronounce these sounds. The usual error is to say “t” in place of “c/k” and “d” in place of “g” (or sometimes “d” in place of both sounds). So, for example, the child will say “tar” for “car” or “dame” for “game”. This post assumes that this is the error that the child is making. If your child is making a different error, please consult a speech and language therapist. The “c/k” and “g” sounds are usually correct by around 4 years. Check out this post for more information about which sounds to expect when. Since some children in the UK start Year R at the age of just 4, it is not unusual to have children starting school who are not yet saying these sounds correctly. What error are they making? If it is the usual pattern of replacing the sounds with “t” and “d” then I would be less concerned than if they are using a more unusual pattern such as “p” instead of “k”. Are they using the sound in any words? Can they use the sound at the beginning of words? At the end? In the middle? Particularly take notice of blends (cl and cr). I often come across children who are not using “c/k” most of the time, but can say “cl” in a word such as “clown”. Is it just these sounds that the child is struggling with or is this part of a bigger problem? Is the child difficult to understand? How is a “c/k” or “g” sound produced? These two sounds (and “ng” as in “long”) are the only speech sounds in English which are produced using the back part of your tongue. You touch the back of your tongue to the back part of the roof of your mouth. Stand in front of a mirror, open your mouth wide and say “c/k” – watch what your tongue is doing. Knowing how a sound is made is really important in teaching someone how to do it themselves. If a child is saying “t” or “d” instead, then they are making the sounds too far forward in their mouth. They are raising their tongue tip and putting it on that ridgey bit at the front behind their teeth. How can I teach a child to say these sounds? Firstly, just a word of caution. We are going to share some strategies to try to encourage a child to say these sounds. 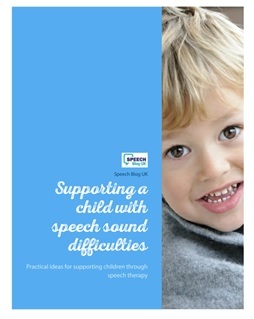 Some children will be able to say a new sound really quickly with just a little bit of help. Others need a lot more help. If you are waiting for a speech therapy assessment, do lots of work on listening to the sounds first. You can find out more about how to do this here and here. If your child gets very good at this, then try some of the strategies below. Do a session of just a couple of minutes 2 or 3 times. If after that, your child is still struggling to say the single sound, please stop, and try again in a few months or wait for your speech therapy assessment. It’s really important that your child doesn’t keep practising it wrongly or become too self-conscious about the way they speak. Remember to keep any practise relaxed and fun. When teaching a new sound, use as many different cues or ways to help as you can. You can find out more about cueing here. Give instructions for what you want them to do, show them, use a picture to represent the sound and use a gesture too. The first thing I always do is to ask the child to “open your mouth really wide and say this sound, right at the back”. Make sure they are watching you and show them – open your mouth really wide so that they can see your tongue. For a few children, this is enough! If they find this difficult, get them to look in a mirror so they can see what they are doing. Ask them to keep their mouth open while they say the sound – often the child’s mouth will close as their tongue tip comes up to say “t”. Praise all tries – this is something that is really hard! Do lots of sounds they can do too and praise those as well. Finally, if your child is finding it really difficult to keep their tongue tip from lifting up, you could try asking them to use one or two fingers to hold it down. Be very careful with this – just one or two fingers and not too far in! The last thing we want is for them to gag or have their mouth so full of fingers that they can’t talk! The idea is just to gently hold the tongue tip down. I usually explain this to the child by asking them to “hold that wriggly tongue down with your finger”. Show them by using your own fingers to hold your tongue tip down as you say the sound. If you are a parent or a member of school or nursery staff trying this for the first time, try it yourself on your own first in front of a mirror so that you really know what you are asking them to do and if you are at all unsure, please don’t do it – just stick with the other strategies! Once your child is able to say the single sound, you need to start working towards putting the sound into words. Make sure they can say the sound consistently on its own first without needing to use a finger to help. There is more about the process of therapy in this post or you could check out our online course which has lots more information about everything in this post with videos, handouts and practical activities to complete. Once your child is ready to practise words, do check out our pack of photo picture cards for practising k. There are 104 picture cards for just £4. You can find them in our shop.